Members-only benefits with DubLi.com is the next best thing to add spectacular savings to your pocket. DubLi.com has launched its new VIP Lounge that offers a product and benefit mix unmatched in the global Cash Back industry. With a single point of access to a complete array of saving opportunities, the VIP Lounge has been designed to help you maximize savings on local retail and dining, hotel and flight bookings, leisure, and entertainment as well as online Cash Back shopping with the brands you love. Here’s everything you need to know about DubLi.com’s new VIP Lounge and how to become a part of the savings community. 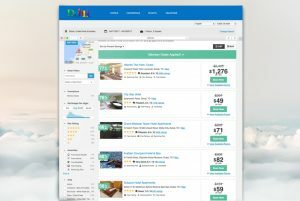 DubLi.com is the leading and most convenient global Cash Back shopping site for your everyday needs and travel bookings. Now, things have become even more exciting! Access big discounts and coupons of up to 50% off on local retail, dining, leisure and entertainment with SaversGuide® Digital Membership and $100 Discount Dining Dollars. Or get 10% off on air travel round-trip vouchers that you can redeem for a flight of your choice. No longer is there an annual cap on how much Cash Back you can earn as a DubLi VIP Lounge member. With every purchase outside the VIP Lounge, you will earn an extra 2% Cash Back on all qualified purchases (excluding gift cards, flat fee Cash Back and airfare/flights). Welcome to the new age of no limitations on how much extra Cash Back you can earn – so go all out and make the most of it! As a VIP Lounge member, you earn the right to receive Cash Back faster than non-VIP members in as soon as 45 days (India: 90 days) from the day your Cash Back gets tracked. This is how it works: Sign in to DubLi.com, find your favorite store and shop on the store’s site. DubLi.com tracks your online transactions and once the store confirms your purchase, your Cash Back will show as “Available Cash Back” on your Dashboard. For all travel bookings through DubLi.com, Cash Back will be awarded when your travel is complete. Requesting your available Cash Back payout is super easy too: Choose your preferred payout method through your Dashboard and type in the desired amount you would like to receive. The VIP Lounge includes our very own DubLi Travel hotel search engine that offers up to 60% discounts on hotels worldwide in addition to 6% Cash Back on every booking. 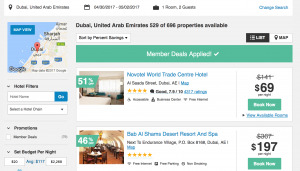 Working in partnership with some of the most prominent global travel brands – Priceline.com, Booking.com and Agoda.com, DubLi Travel ensures that you get the best hotel deals on every booking. As a VIP Lounge member, you constantly receive the lowest prices, eliminating the need to wait for last-minute deals or compromising on quality and variety. No guessing involved – you’ll know every detail about the room you’re booking: location, hotel name, price, and star rating. When it comes to getting the most for the least amount, DubLi.com has got you covered and this enhanced membership will make your shopping experience more enjoyable and rewarding than ever before! The $99 per year membership fee won’t seem like much at all. Say, for example, you book a room for two at Bab Al Shams in Dubai – the ultimate Arabic luxury retreat, originally priced at $367. But with a 46% discount that falls to $197 per night plus 6% Cash Back ($11.82) making your total savings $181.92. This means you could cover your cost with just one booking and even earn extra savings! 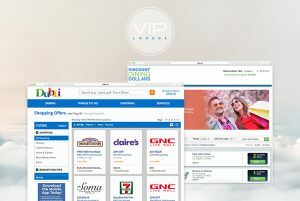 Select “VIP Lounge” in the navigation bar on DubLi.com and click on “Join VIP Lounge for only $99/yr. Now” and enjoy all the great deals, discounts, coupons, and Cash Back offers available exclusively to VIP Lounge members. Don’t forget to subscribe to our newsletter so you don’t miss out on all the incredible shopping and tips on saving opportunities. Offering extra Cash Back opportunities and exclusive savings in an easy to use manner to save you the hassle, the VIP Lounge is a game changer. 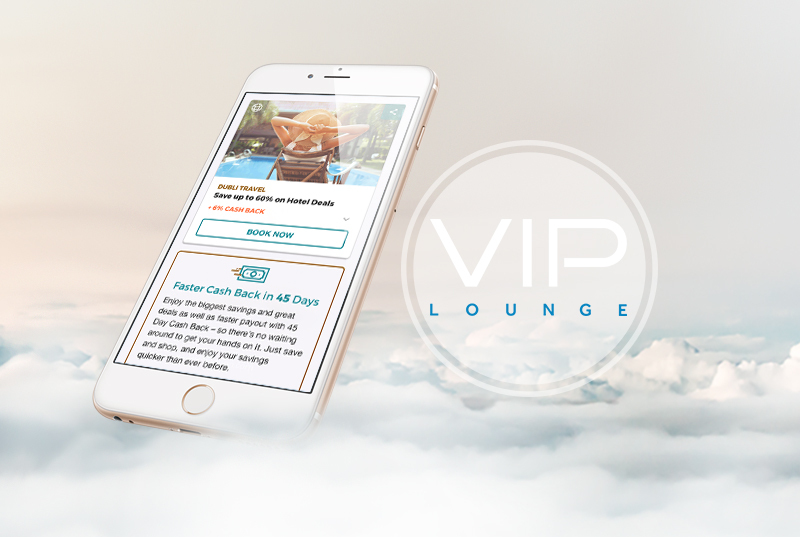 There’s nothing like getting a great deal – so be sure to check out the DubLi.com VIP Lounge and unlock all the exciting features and deals VIP Lounge has in store. Stay tuned for more updates and till then, shop smart with DubLi.com.